EUROPE/ITALY - ACSE has been serving immigrants and refugees for half a century: "An adventure of solidarity"
Rome (Agenzia Fides) - Fifty years ago, in 1969, ACSE, Comboni Association Service for Migrants and Refugees, was born in Rome thanks to Father Renato Bresciani, a Comboni missionary who had worked in South Sudan where he was expelled. According to information sent to Agenzia Fides, the Comboni Missionary and lay people association at the beginning carried out activities especially for Sudanese students, later it became a service for migrants and refugees from all over the world. Father Bresciani involved religious institutes, the local Church and also the political world in this service, with some good results. Later Caritas, the Community of Sant'Egidio, the Astalli Center were born in Rome. Subsequently, the activity in support of migrants, always under the sign of volunteering, continued, enriching itself over time with services offered with increasing professionalism. 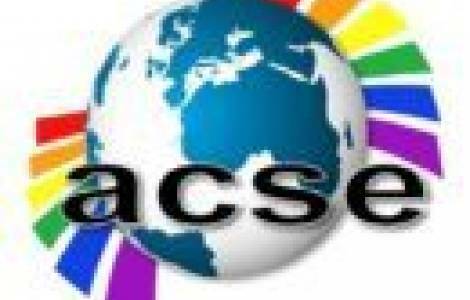 ACSE was the first to start a computer school for migrants in Italy. Since 1997 it manages a dental clinic for migrants, holds Italian language courses, differentiated by levels. It also offers English language courses. It provides services for job search, legal assistance, assisted voluntary return, food distribution, support for university students with scholarships and ensures pastoral service. Today, the Association assists a total of over 1,500 migrants a year.